What Are Grave Blankets For? Stonework is one option to decorate a grave stone. After a loved one is buried and the headstone is erected, families like to decorate the gravestone or grave site. Cemeteries have rules about what you can place on a grave and how long it can remain there. Check with your cemetery regarding its rules before placing items on the grave. Waterproof items hold up best. A grave blanket is a decorative covering for a grave site. You can find blankets made of real or artificial greenery and flowers and add accents in the form of ribbons and bows. 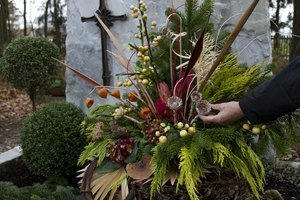 Place grave blankets on graves during the holiday season. 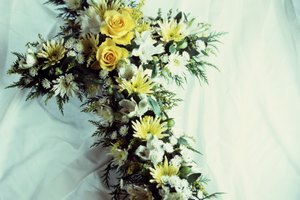 Place artificial flowers in an urn or sturdy vase on a grave site. Artificial flowers require no care. The flowers will fade by the end of summer. Cemeteries routinely remove flowers before winter. 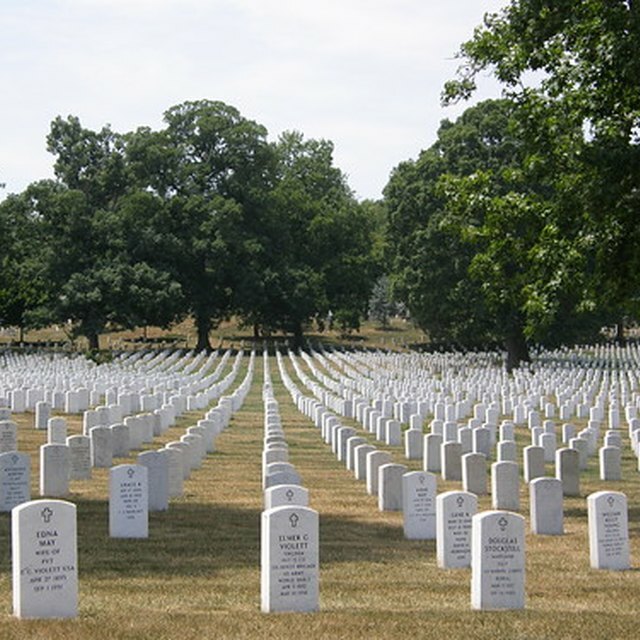 Families may place medallions or markers on a former U.S. veteran's grave site. Medallions come in three sizes, 1½-inch, 3-inch and 5-inch and are attached to the gravestone. Markers, similar to headstones, list the veteran's military service and can also list their birth and death dates. 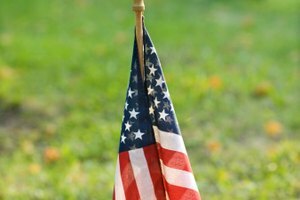 You can order either upright or flat markers from the U.S. Department of Veteran Affairs; they are available in bronze or granite. Place pieces of stonework on or near a grave. You can find stonework in the shape of an animal, such as a lamb signifying a child's death, to any number of symbols. You can also place organizational and military symbols on a grave site to honor an individual's service. How Do You Make a Christmas Grave Blanket? Holik, Jennifer. "Waterproof Things to Put on a Grave Site." 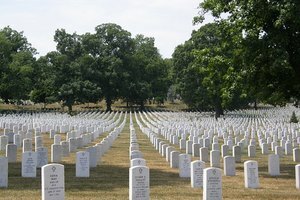 Synonym, https://classroom.synonym.com/waterproof-things-to-put-on-a-grave-site-12083284.html. 29 September 2017.